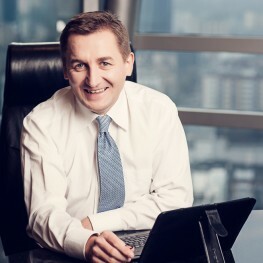 Radosław Ciszewski is Programme Director of the Pulaski Foundation. Former Deputy Director of Prof. Danuta Hübner’s office. Journalist, former head of the editors and publisher of TVN CNBC BIZNES as well as an editor of Business TVN 24. Member of the Foundation’s youth programme training for the development of the education system, since 2002. Coach at the European Academy of Diplomacy (also in the framework of the annual programme “Academy of Young Diplomats”). Employee of the Polish Foundation Robert Schuman from 1999 till 2003. The Coordinator of a nationwide social action established to campaign for the Polish accession to the European Union within the framework of the Social Initiative in a Referendum.